The frame of the rear ramp on this enclosed trailer was severely rusted and the hinges began to rip out of the cross member. 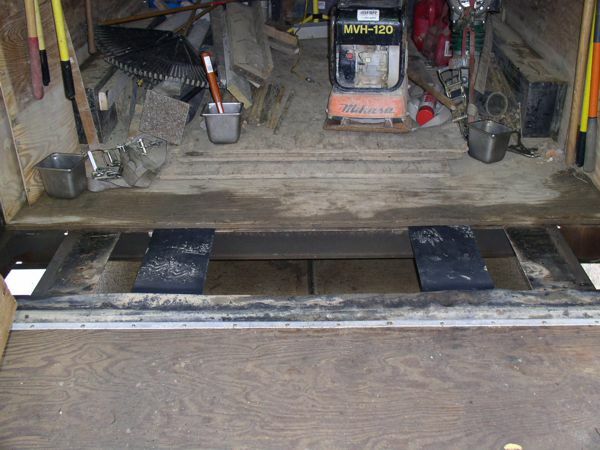 Also, the frame under the floor at the rear of the trailer did not have an adequate frame to support the equipment load. 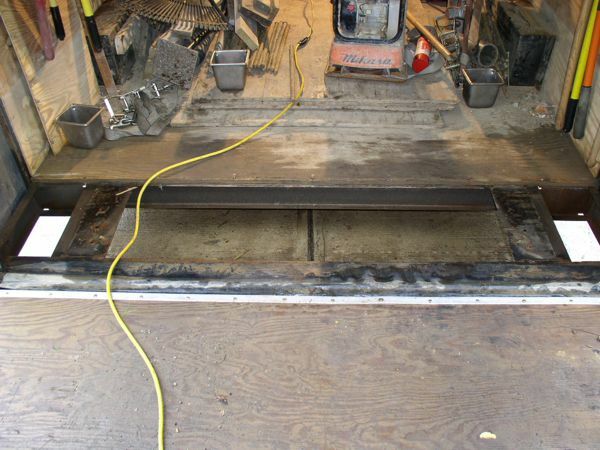 The ramp was completely disassembled, new steel tubing was welded into place, and the ramp was reassembled. 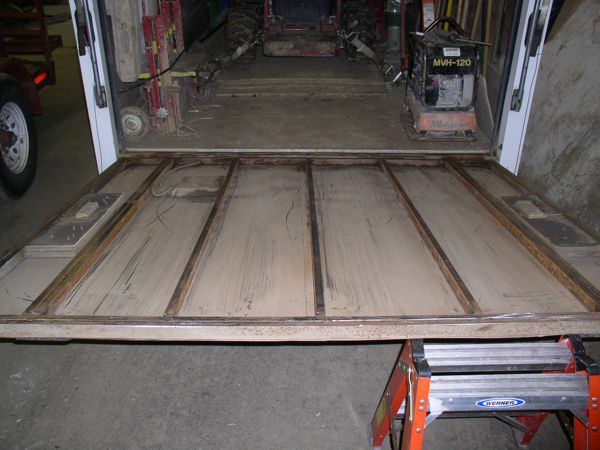 New steel plates were welded into the bottom of the trailer to add support for the rear floor section. Rear of trailer with limited frame supports. 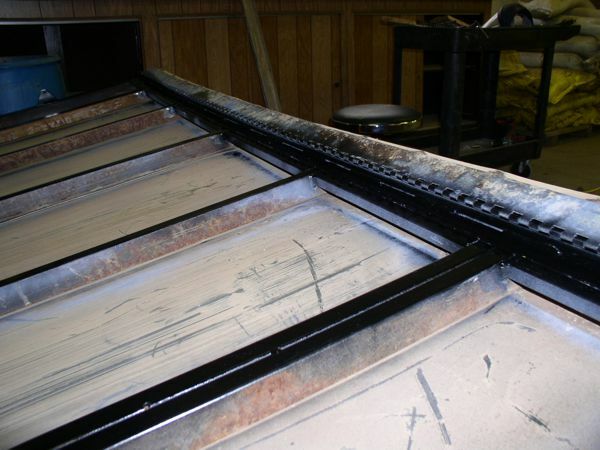 New frame support plates installed. New cross-member welded into place. 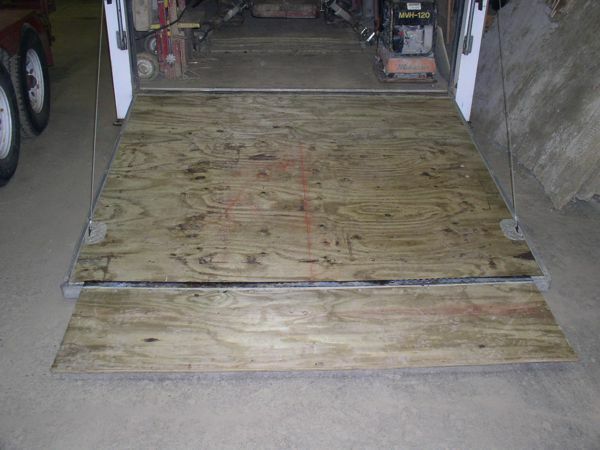 Completed ramp with new decking.